What better time is there to display the art of political flip-flopping than an election year? Most of the presidential candidates have been caught flip-flopping on various issues throughout the election process because Google exists. All people have to do is to Google a pol's past and whamo! The finest example of professional flip-flopping yet this year has to be Chris Christie's endorsement of Donald Trump. Only a few weeks had passed since he told the world Trump was unfit to be a president. His abrupt about face freaked out Meg Whitman (Hewlett-Packer CEO) his National Finance Co-Chair for his now defunct campaign. She called his swift move "an astonishing display of political opportunism." 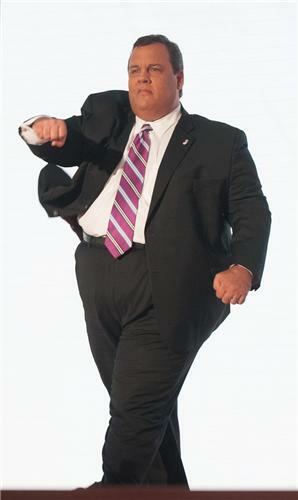 An angry Whitman told reporters that Christie is mistaken if he ever thinks he'll get her support for anything again. She called on his donors and supporters to reject Christie and Trump outright. Meanwhile a chorus of conservative commentors called his move "irresponsible" and a "disgrace." I couldn't agree more. If Christie is hoping for a VP spot with Trump for his defection...he better not hold his breath. Trump is the king of flip-floppers!